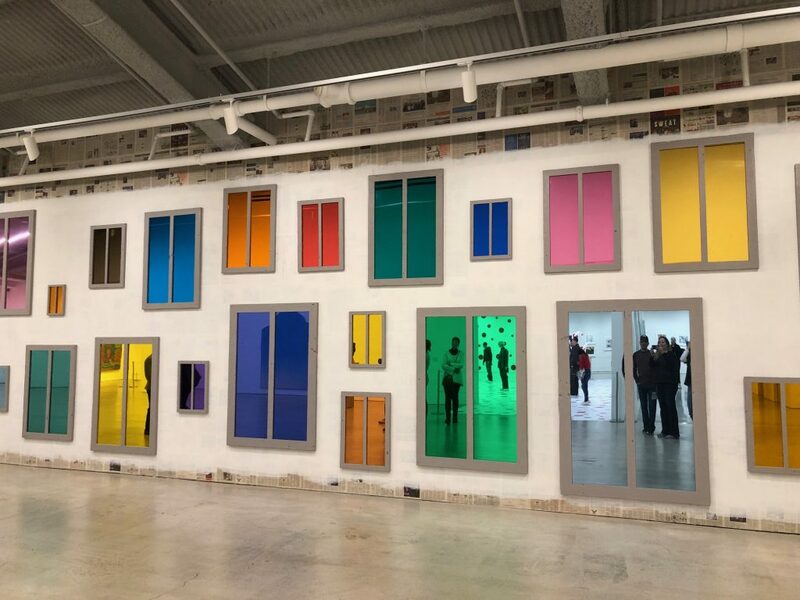 Since opening in 2017, the new contemporary art space Marciano Art Foundation has excited people throughout Los Angeles with relevant and engaging rotating installations. Currently, contemporary artist Ai WeiWei’s Life Cycle solo exhibition is on view through March 3. 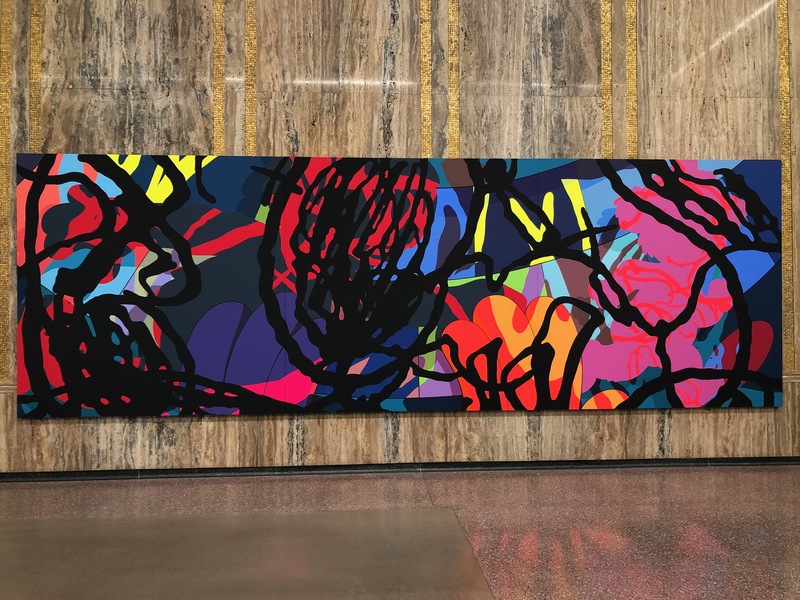 Life Cycle is Ai’s first major installation in Los Angeles and the famous artist and activist explores contemporary humanity through “traditionally Chinese modes of thought and production,” with a variety of small and massive pieces. Ai was a design consultant for the 2008 Summer Olympics stadium in Beijing. As a political activist he has been openly critical of China’s stance on democracy and human rights and investigated corruption in the country. He was jailed without charges for 81 days by Chinese authorities in 2011, after being placed under house arrest in 2010. His newly built Shanghai studio was demolished at that time. Since being allowed to leave China in 2015, he lives in Berlin and travels the world exploring the human condition and creating installations. His recent installations and documentary film Human Flow have explored the impact that the currently-estimated 65 million people fleeing war and poverty have on the world and society. 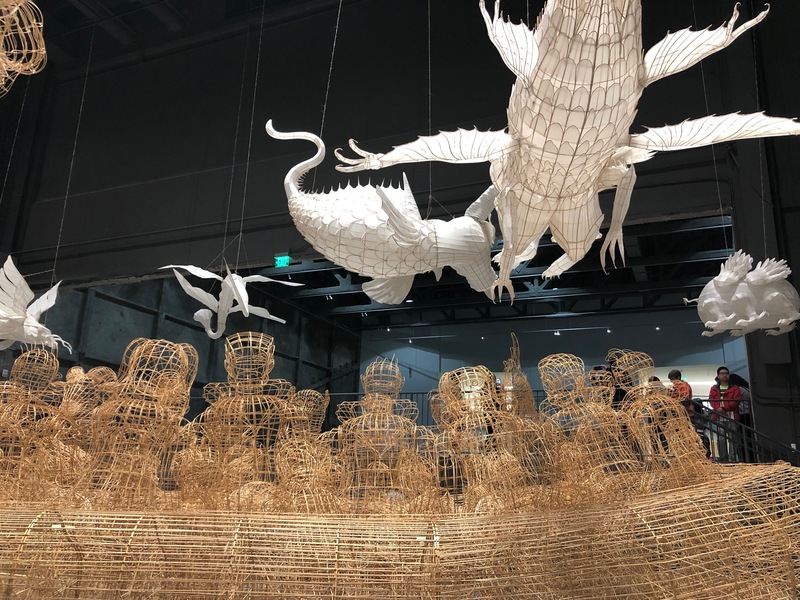 Life Cycle includes as a central focus a replica of a life boat, like those used by refugees to cross the Mediterranean Sea, surrounded by Shanhaijing, mythical creatures from Chinese culture. 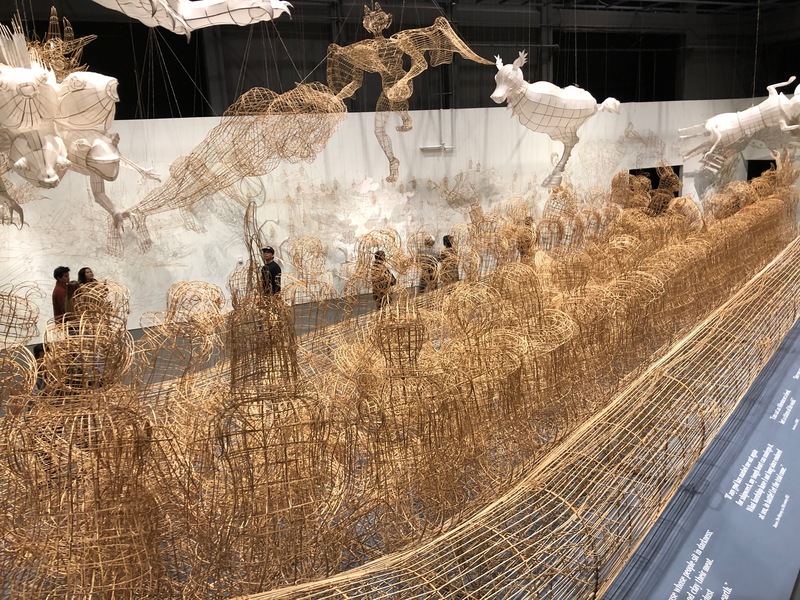 Variations of the refugee boat, packed to overflowing with passengers, has become a recurring theme in his many installations that have opened all over the world. Housed in the former Scottish Rite Masonic Temple on Wilshire Boulevard, the Marciano Art Foundation gallery space uses 10,000 square feet and four floors to house works from notable and emerging figures in the contemporary art world. 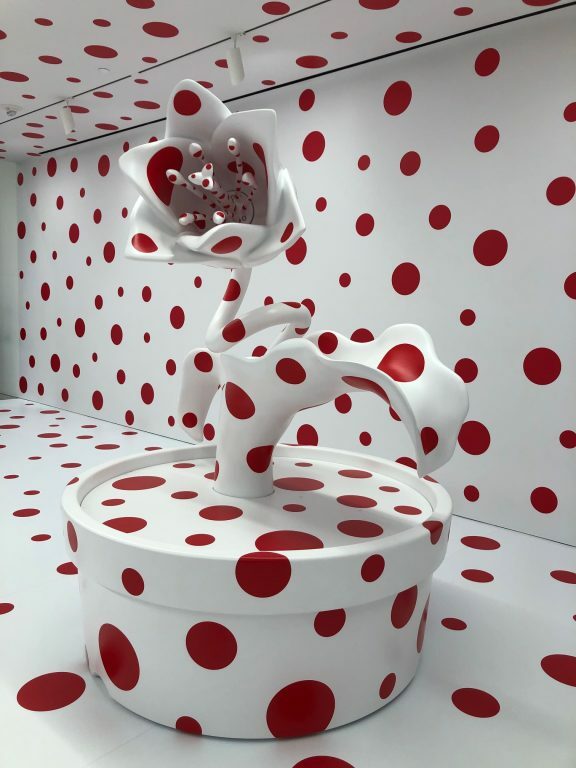 Yayoi Kusama’s red polka-dotted room, With All My Love For The Tulips, I Pray Forever, 2011, lives in the center of the third floor of the building, as both an immersive experience and with openings to view the surrounding art pieces. 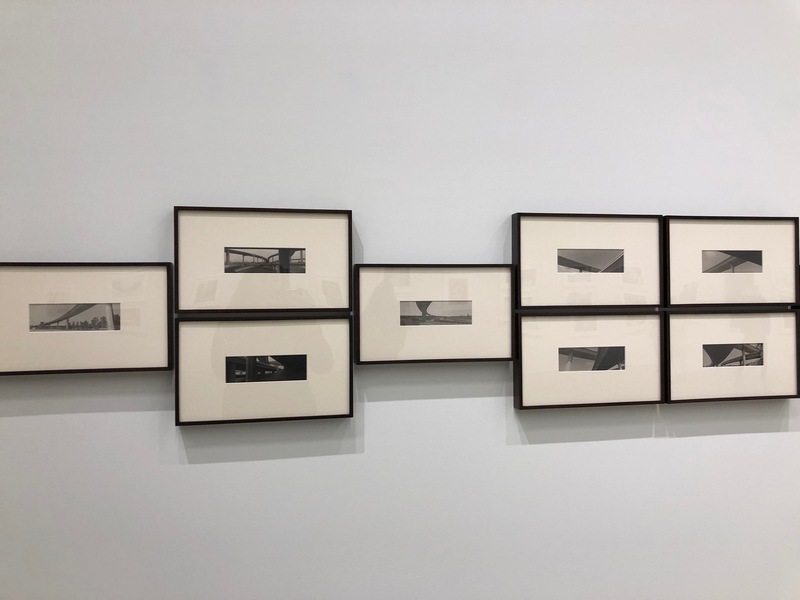 Works by Catherine Opie, Glen Ligon, KAWS, Ugo Rondinone, and many more artists from Maurice and Paul Marciano’s collection are on display. The Marciano family created the internationally popular Guess fashion brand in the mid-1980s, They continue to be recognized for fashion, business and philanthropy. Admission to the Marciano Art Foundation gallery is free, but signing up in advance for timed-entry tickets is highly advised, as walk-up wait times can vary. The MAF is open Thursdays and Fridays 11:00 a.m. to 5:00 p.m., Saturdays 10:00 a.m. to 6:00 p.m. and Sundays 10:00 a.m. to 5:00 p.m. The Foundation is open for school tours on Tuesdays and Wednesdays. The Marciano Art Foundation is located at 4357 Wilshire Boulevard, just east of Rossmore Avenue. Free parking is available for advance ticket holders in the lot behind the building, entering off of Lucerne. More information on MAF, upcoming exhibitions and advance tickets can be found online here. 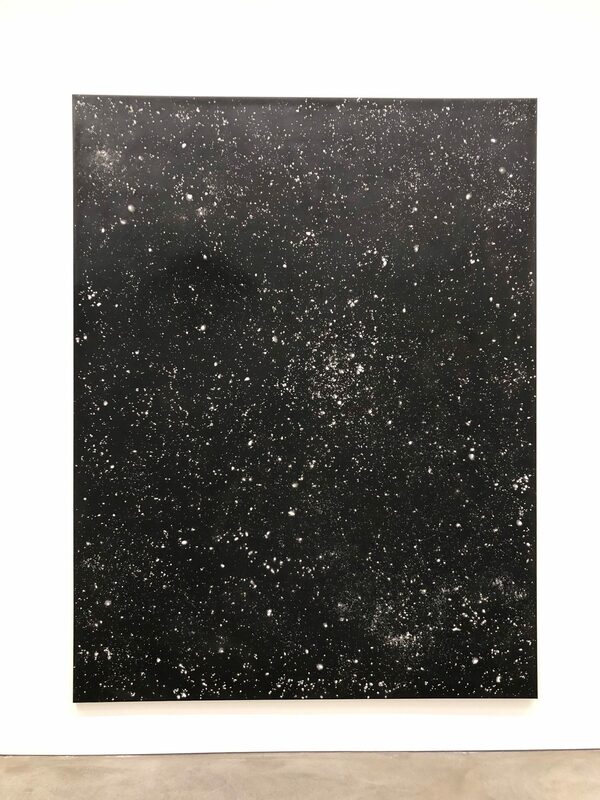 This entry was posted in Get Out of Town!, News and tagged ai weiwei, catherine opie, get out of town burbank, glen ligon, human flow, kaws, life cycle, marciano art foundation, ugo rondinone, yayoi kusama on February 21, 2019 by Lisa Paredes.